He is carrying the viaticum, or sacrament, to some dying person. Attendants follow with tapers and holy water. 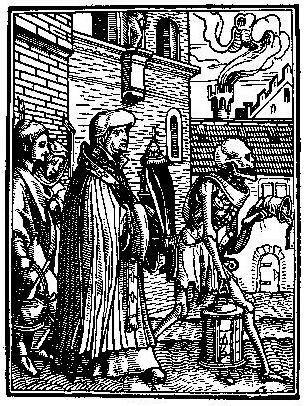 Death strides on before, with bell and lantern, to announce the coming of the priest.